The month of the goat is upon us, the zodiac symbol for the Capricorn born December 22nd to January 19th. If you happen to have a bunch of friends and family with Birthdays in this time frame, like I am noticing, you will also be able to recognize them by their trustworthy nature. They are also more than likely someone you can call when you need a hand as they are incredibly dependable and realistic. One thing you may notice is that it is a new year and everyone seems to be making ambitious goals and resolutions to play out their dreams. The Capricorn will be the one who is trying to perfect this and is therefore in resolution mode all year long as they love to improve themselves. 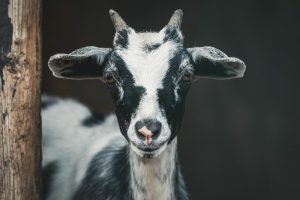 See if you can spot your goat friends this week based on these characteristics. It is always great to have ambitious, dependable and reliable friends! Ensure you wish your Capricorn friends well this month! If you have been dreaming of running your own retreats for your tribe then this is THE perfect retreat for you! 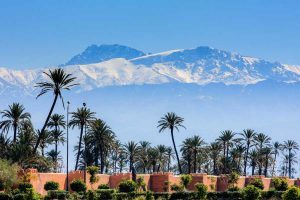 If you’re a transformation retreat leader who’s ready to learn the art and science of drop-dead-fabulous, high-converting trip pages for all your retreats – plus practical strategies for retreat planning + marketing – then join Sheri + Kerrianne in exotic Marrakesh for this unforgettable mastermind adventure! We’ll be spending seven fabulous nights in the beautiful city of Marrakesh enjoying the wonderful culture, food, shopping, and the charming décor of the fabulous Villa Dinari. You’ll feel like you’ve found a secret oasis that only YOU know about. We’ll have two nights out on the town to experience the fabulous international food scene (as well as perhaps a bout of belly dancing?). And we can’t forget a tour of the highlights of the city with our trusty guide Abdul exploring the old medina souks for djellaba robes, spices, babouches (Moroccan slippers), old carpets and colorful ceramics, perhaps visiting the old ruins of the El Badi Palace, or the stunning Bahia Palace (which truly is an architectural wonder). And on top of ALL THAT, what would it mean to you if you picked up a handful of strategy gems that ended up netting you an additional $10-50k from your next retreat (and all your future trips too)!?! It would be amazing. So don’t miss this special retreat where you’ll learn the keys to planning, pricing, promoting, and monetizing your first (or next) transformational destination retreat. Trip Tuition: Early bird ENDS March 1st, 2019! Most meals and activities included. See trip page for details. 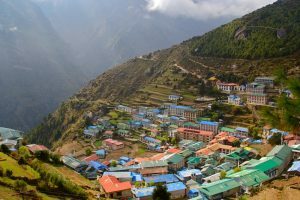 Join Sharee James for this heart-centered tour and retreat exploring the best of authentic Nepalese and Tibetan culture and Himalayan spiritual traditions. This unique package combines yoga and meditation with guided cultural tours, enlightening workshops and unforgettable scenery. Now it is your turn to follow this calling…are you ready to heed this call and join us on this incredible, once-in-a-lifetime journey to the Himalayas of Nepal? You’ll experience being surrounded by stunning vistas throughout the retreat, plus we will take an early morning trip to the top of Sarangkot mountain to view one of the most incredible spectacles in the world: the sun rising over the Himalayas! Some of the other wonderful highlights are: Fascinating guided tours exploring Buddhist monasteries, Hindu temples, medieval royal squares, as well as hiking to a local village and a visit to a local school, workshops on yogic philosophy and Eastern spirituality to help you release the mental chatter and negative attachments in your mind and bring peace and harmony into your daily life AND a very special lesson with a 4th generation Tibetan sound healer on using Tibetan Singing bowls for healing and meditation! Trip Tuition: $3195 USD based on double occupancy – most meals included. I feel the need to share with you what is in my heart today. I’ve been working hard on my spiritual path and I can see all the miraculous changes in my life as a result. And I feel so blessed. I am grateful and happy for all the good in my life. Yet, I feel I must be honest with you – gratitude is not always in my heart. I understand gratitude on an intellectual level. I know that I “should” feel gratitude for all the blessings in my life. I can even list all I have to be grateful for: my friends and family, the support in my life, the food on my table – truly the list is endless. Yet – Mother, Father, Spirit – I still complain about the very things I’m supposedly grateful for! The attitude I live my life from does not always reflect my gratitude, only my selfishness and I feel ashamed. I often have judgmental thoughts that cross my mind, for example: That stupid gal at the check-out counter is SO slow!!! And then a moment later another thought will come in my mind like this: Well, you’re lucky you have the means to shop in the grocery store – you could be destitute or be in a refugee camp somewhere in the world. I often feel like a war is going on in my head and no one knows about it but me, and I feel so alone. I realize that I cannot feel grateful at the same time that I’m being judgmental and opinionated. When I behave that way I can feel my heart closing and my unconditional love shrinking away – I despise that feeling, yet I do it anyway. It’s as if I can’t stop myself – I can actually see and hear the words coming out of my mouth, yet I feel powerless to change them. I often wonder; why do I focus on what’s not good enough in my life rather than what is beautiful? I know that if I truly had gratitude for everything I’d laugh when my mind proposed a judgment because I’d know there is no bad or good only the “what is.” I’d be able to know the truth of your perfection and recognize that I don’t have access to the bigger picture. I want to have faith in your truth Father, not my ego-mind’s limited and frightened viewpoint! I want live my life honestly Father, I want to walk my talk Mother – yet my thoughts betray me and I get impatient and irritated with myself. I don’t want to be living a lie. 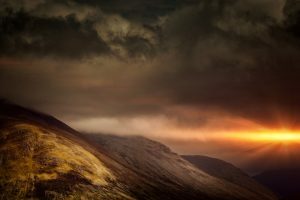 How can I live my life in truth? Truth is a funny thing for the human ego-mind – it gets so confused between the personal truth of a limited belief system and my truth. My truth, which lives in hearts of all living beings, can be alluded to by one human concept: Love. I say alluded to, because the truth of Love is infinite and no human concept or word can capture the glory and majesty of it. When you allow my truth to express though you, the reaction of your human body is gratitude and bliss. And the only thing stopping Love from being your reality every moment of your life is where you choose to place your attention. 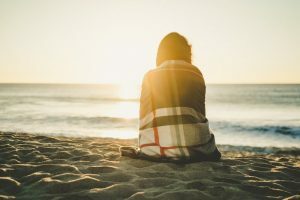 When you shift your attention from your heart to your mind you are no longer living my truth, but instead living the truth of your ego’s concepts. And child, those concepts can never be my truth as they are limited which is against my nature. Your mind, the ability you have to be conscious of your consciousness, is my gift to you. You can either let it reflect the power and glory of infinite possibility, or you can fill it with lies. It’s your choice, that’s what free will is about. If you choose to believe in what is not truth, you will suffer. If you choose to believe in what is truth, you will be free. Child, have faith in my power which lives within you and use it to take control of your attention. Once focused on my truth, heaven on earth will be yours forever. This is my promise to you. I love you and I bless you always and forever.